GO HEAT TALIBON CARAVAN: NOCNOCAN!!! 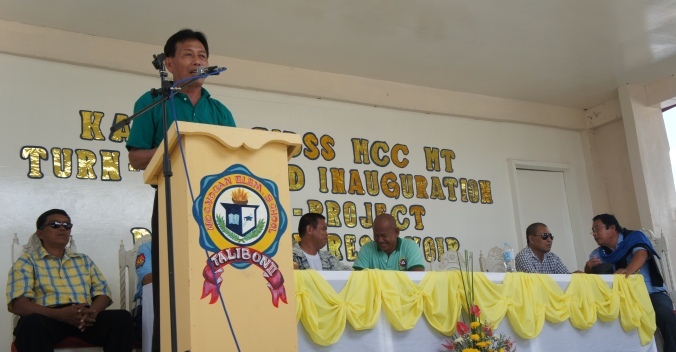 The Municipality of Talibon in the Province of Bohol, Philippines, spearheaded by Mayor Restituto B. Auxtero, has envisioned of bringing all of its services to the island barangays and has planned for months on how to go about it. After a series of meetings and brainstorming between him and all the Department Heads and full backing of the Sangguniang Bayan, they came up with the idea of a caravan bringing municipal services initially to the island barangays in line with Governor Chatto's HEAT Program. 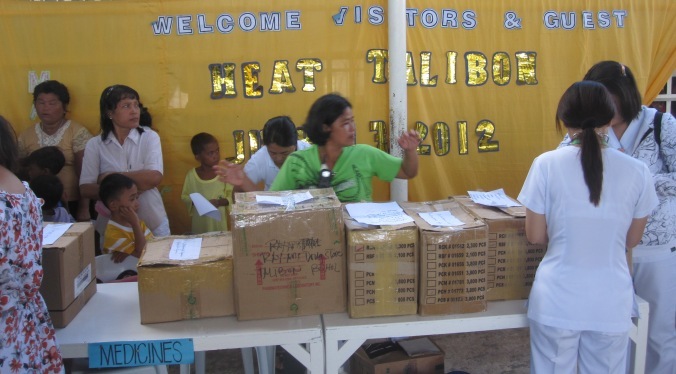 The proposed activity was called GO HEAT Talibon and was in conformity with the Mayor's program of enhancing public accessibility and of his great desire to alleviate poverty in all of the barangays under his governance. GO refers to Government Outreach and H in HEAT refers to Health and Sanitation, E - Education and Technology, A - Agriculture and Food Security, T - Tourism and Livelihood. Finally, on July 13, 2012, the plans were enforced and the 1st GO HEAT TALIBON CARAVAN was launched, visiting the 1st island on its list: NOCNOCAN. All assigned personnel (all representing the different municipal offices of Talibon) gathered at the pier area. A total of seventy seven (77) personnel, including volunteer doctors and dentists, were expected to render service at the island. Aside from the Mayor’s Office, the following offices were also well represented: Civil Registrar, General Services, Assessors, Engineering, Budget, MPDC, DA/CRM, Accountant, Treasurer, MHO/RHU and MSWDO. The Vice-Mayor and almost all of the Municipal Officials were also present as well as the PNP, represented by no other than the Chief of Police, Major George Caña with two (2) escorts. The first outrigger boat that filled up to capacity was the Talibon Sea Ambulance and at 7:16 A.M. sailed for the island of Nocnocan. On board were about 45 personnel, including the Mayor, almost all the Department Heads of the different offices, the Chief of Police and his men. 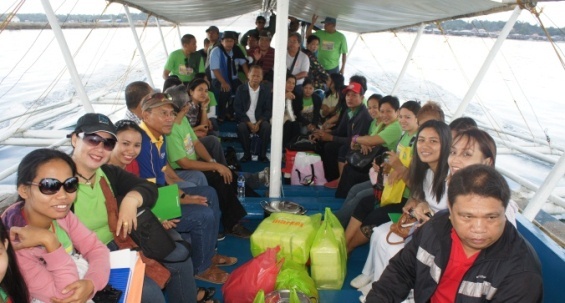 Others boarded the boat “Janet & Jane” belonging to Vice Mayor Marcos Q. Aurestila. We set sail under downcast skies which after a few minutes opened and pelted us with rain. For a moment, the Mayor entertained the thought of going back and asked the opinion of others on board. Nobody replied. Everybody was looking forward to the trip and going back was not a welcome thought. Besides, the water was tranquil and so we sailed on. After a few minutes, the sky brightened and a rainbow appeared. The island of Nocnocan cannot be viewed from the Talibon pier and for an inexperienced Talibon traveler such as I, it seems that the island is so very far away…..yet, we arrived there in less than 30 minutes even on a slow pace. 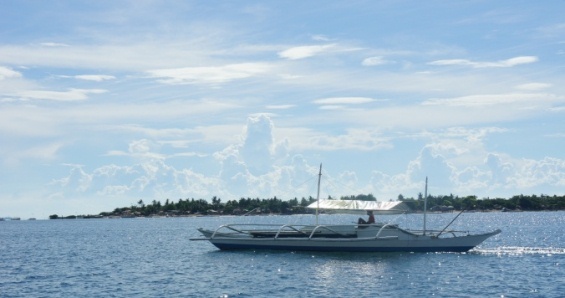 We sailed past the islands of Jao, Sag and then Cataban – the 2nd island on the list and scheduled for a visit this coming July 27, 2012. From on board, the island of Nocnocan appeared to be a small island yet well populated, where some of the dwellings were already on the beach. Coming recently from a Balicasag trip, where I saw palm trees instead of dwellings, it entered my mind that it would have been nice if the Nocnocan dwellings were situated a bit inland to give way to palm trees to make a magnificent view. Nocnocan’s covered court, the chosen venue for rendering the different services, was a hive of activity upon arrival. Each department went to their designated places. Tables were arranged and rearranged to fit the needs of the servicing group and the curious crowds which steadily increased by the minute. At the arrival and settling of the 2nd boat party, a short program was held wherein the Invocation was led by Mr. Crescencio Villaver followed by the Welcome Address by Nocnocan Barangay Captain, Hon. Ernesto C. Cellan. Mr. Cellan welcomed the caravan and gave his sentiments and deep-felt thanks to the Mayor and his party for the visit. Next, the Mayor expounded on the caravan’s vision and mission. He encouraged all present to forego political rivalry and instead work together for the common good. 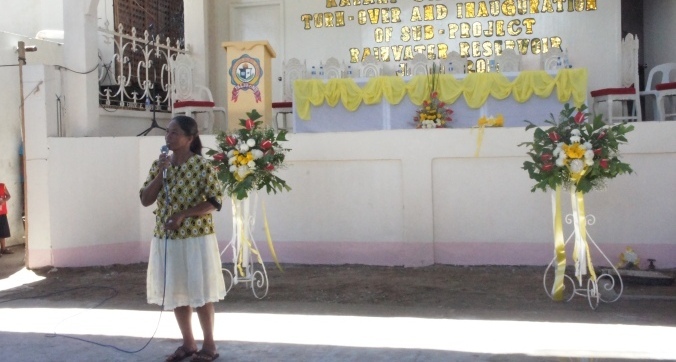 The Vice-Mayor Marcos Q. Aurestila was then called upon to give a short message followed by the District Kagawad in the person of Connie Evangelista. The Vice Mayor said that the whole Sangguniang Bayan are one with the Mayor in his vision and mission and fully supports all his laudable projects. Sir Connie informed everybody that his Initiative Fund of more than P100, 000.00 have been poured out on Nocnocan in various projects. After a short orientation wherein the Nocnocan town folks were guided on the proper flow of GO HEAT TALIBON, the various services started. Doctors Francisco “Dodong” Ngoboc and Apolinario “Pol” Redulla rendered consultation services on various ailments and wherein another group is assigned to do the dispensing of FREE medicines. A total of 135 people sought consultation from the two (2) doctors. A group of nurses took care of recording the necessary details of each patient, and took the BP (blood pressure) of those who requested for it. Rose May Mangyao, assisted Mrs. Rhoda Bernales, the Microscopist of LGU-RHU, in entertaining patients and taking sputum samples. A total of 6 sputum samples were examined. Volunteer Dentists Marie Edsyl Hormachuelos, Wendell Garay and Julius Credo serviced together a total of 50 patients: 45 extractions and 5 consultations. Operation “Tuli” (circumcision) was done initially by Nurse Vladimir Avenido but because of the long line of kids, Midwife Natividad Abastas and Nurses Diosa Bolastig and Leah Labisores helped. Nurse Avenido did the cutting of the outer skin and the nurses did the stitching. Together, they circumcised 28 kids out of 50 who listed. Those not circumcised were told to go to Cataban on July 27, 2012 for they will be given priority. The Mayor promised to bring more personnel to do the circumcision. They were not prepared for the massive turnout of kids desiring to be circumcised. Health education was conducted by Nurses Anecita Paredes and Melbounie Bonanciso; touching specifically on maternal and child care. They talked to 17 pregnant and 36 lactating mothers. Vitamins were handed over to these mothers after the lecture. Supplemental feeding was also done, giving priority to kids ranging from 1-3 years old. The Nutrition Office staff, with the help of some MSWDO staff fed a total of 100 children. Food consists of pinakbet, fried chicken, bolabola, rice and banana. Viands were placed separately in plastic wraps and then placed inside styrofoam containers. 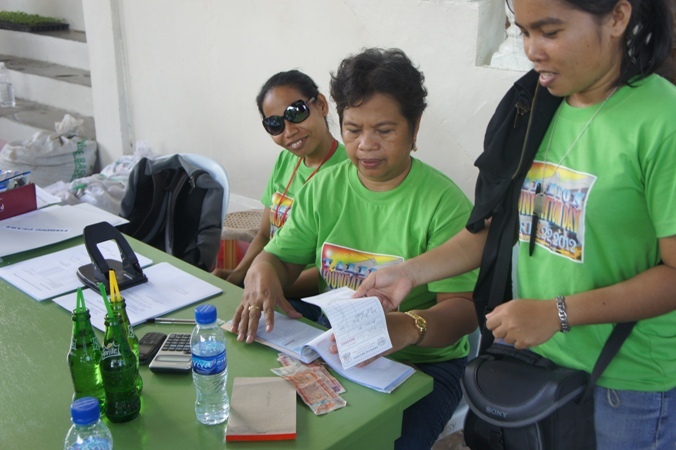 The LGU-Agri Office, on their part, distributed vegetable seedlings to 193 recipients. Each person was given one (1) plastic pot, 3 seedlings of pechay and 5 seedlings of talong or eggplant. Vegetable seeds (pechay, eggplant, tomato and hotshot pepper) were also given. The CRM Office, which is also under the Agriculture Office, registered 2 pumpboats and one (1) fishing net. Rabies vaccination of 14 dogs in the island was also done and in addition, the owners were given vitamins for the dogs. Vitamins for hogs and chickens were also distributed. Some BMEG staff, brought over by the Agri Office, conducted a seminar on the raising of hogs and fowls and also distributed vitamins and medicines. Aside from processing the wedding of 14 couples, the Local Civil Registrar also accepted 42 NSO requests for birth, marriage and death certificates and 8 requests for late registration, legitimation and AUSF. The Municipal Assessors Office team, headed by Engr. Ramel Artiaga, went on an inspection tour of the island for assessment purposes. They were able to assess 10 houses. The Municipal Treasurer’s Office collected a total of P6,155 of Community Tax, Business and Fishing Gear Permit and two (2) registrations of pumpboats. One focal point of attention was the 14 couples who have registered with the Municipal Civil Registrar, and with their ninongs and ninangs, occupied the center aisle which was decked with flowers. Dressed in their finest livery, the couples lined up (called one by one by Jett Boyles, the emcee), did the ceremonial walk and took their seats. The Mayor solemnized the wedding and their papers where signed and sealed in the presence of everybody. The couples exchanged rings, took their oath and were asked to render the 1st kiss of married life (even though they have been living together for years already!). To top it all, the Municipality of Talibon brought over a FREE wedding cake, wine and wine goblets and each pair took pictures while they ate portions of the cake and drank the wine as is being done in proper wedding ceremonies. 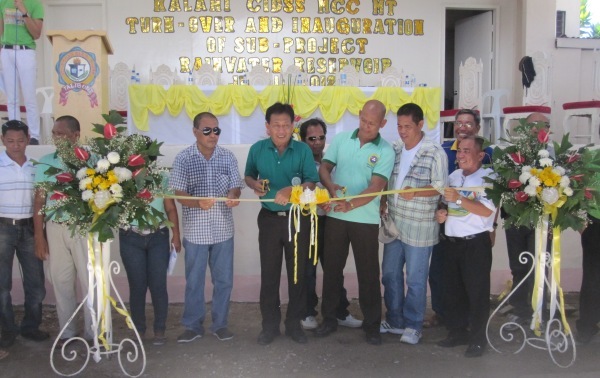 Aside from the GO HEAT TALIBON CARAVAN the Barangay Officials of Nocnocan also scheduled on the same day the turnover and inauguration of the Kalahi-CIDSS Millennium Challenge Corporation – Makamasang Tugon Sub-project namely the RAIN WATER RESERVOIR. The reservoir is the stage itself where the Mayor and guests were seated. The reservoir is estimated to accommodate 2,000 barrels of water or estimated at 200 liters per barrel. An entirely separate program was made for the turn-over and inauguration where the first part was the blessing of the project and then the ribbon cutting by Mayor Restituto B. Auxtero. Jett Boyles was still the emcee. DAC Engr. Lorenzo Flores gave a short message followed by the Financial Report by Brgy. Treasurer Lorenzo Abellana Jr. The O and M group (operations and maintenance) were then inducted and the responsibility of the project were turned over to them. Then the turnover rites started with a short talk by the Mayor who handed the ceremonial key to the Project Area Coordinator, Engr. Avenido who likewise handed the key to the Barangay Captain. Capt. Cellan gave a short turnover speech and Operations & Maintenance Chairman: Ms. Veleriana Ongco accepted the key accompanied by a short acceptance speech. A short testimony by Abetha Abellana portrayed how the Kalahi-CIDSS way was inculcated in their practices; that they learned so much in how the projects should be processed; how they gained confidence on government projects seeing that their projects were really implemented and worked on until functional. 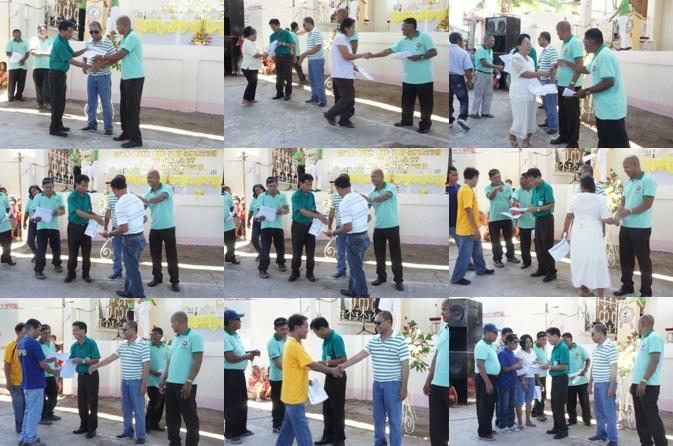 KC volunteers were then recognized and given certificates followed by a message by AC Engr. Ednardo A. Avenido. Hon. Marcos Aurestila gave the Closing Remarks. 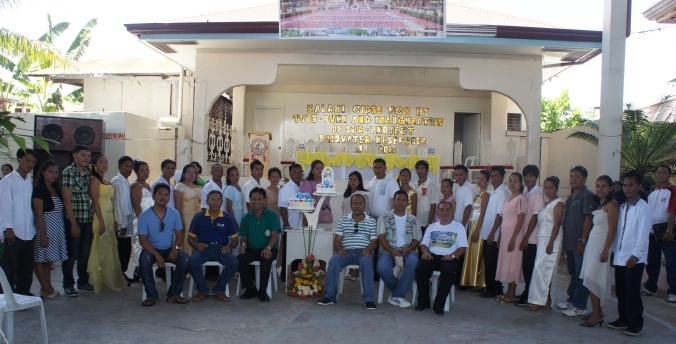 Barangay Nocnocan is an awardee as the barangay with the Best Practice. 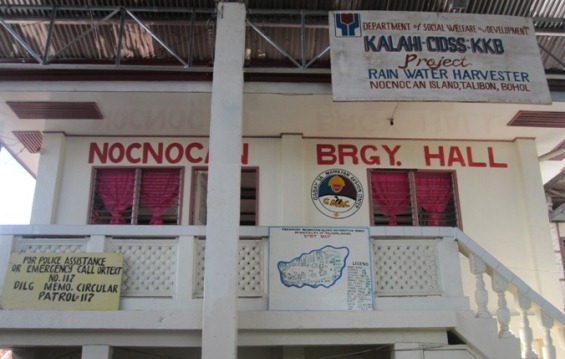 Under the Regional Kalahi-CIDSS sustainability evaluation for their Rain Harvester Project with 2 units reservoir last 2007, they came up with a workable system wherein the constituents avail of water on a No Ticket, No Water scheme. Income from this water venture was well recorded and reported. The island of Nocnocan has a land area of 21.87 hectares with a total population of 2,082 (as of 2009). The number of families or households as per 2009 survey is 365. Being an island barangay, the major means of livelihood is fishing. A few are working in mainland Talibon. The means of transportation are pumpboats or native outrigger boats.